Next time you sit down for an uncivilized bout of saké bombs, consider yet another reason you should be ashamed of yourself. 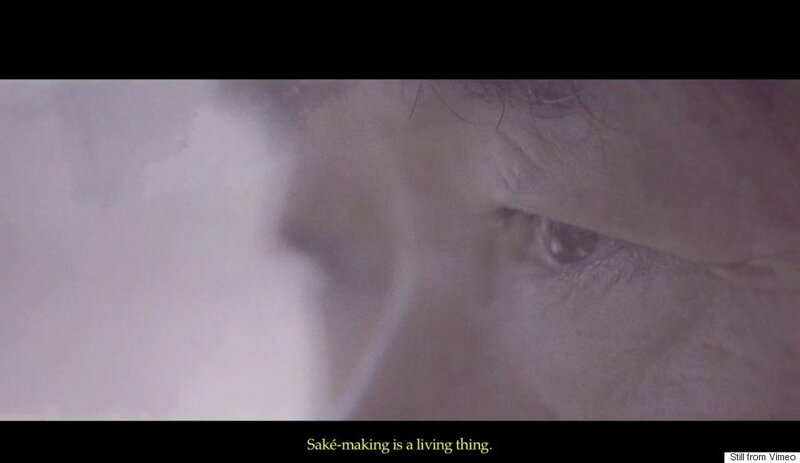 As the trailer for Kickstarter-project-turned-arthouse-darling "The Birth of Saké" explains, making the ubiquitous Japanese rice wine is a high art, a 2,000-year-old process that can take six months to complete. Directed by a former "No Reservations" cameraman, the documentary is poised to be this year's "Jiro Dreams Of Sushi": another stunning deep dive into the highest ranks of a popular Japanese consumable. Director Erik Shirai and his team profiled a premiere producer, the 144-year-old Yoshida Brewery in northern Japan. Yoshida employees range in age from 20 to 70, and often leave behind families to perform a job they see as a calling. A team of surrogate brothers, they sleep on the ground and eat around a shared table. The film interweaves this daily minutiae with the company's struggle to survive in a market stocked with younger, nimbler and less conscientious companies. It's a story made for film, as thick with steam clouds as with metaphor, like the titular one: that a bottle of good saké is akin to a child brought up beautifully into adulthood. No surprise, critics are pleased. It will "go down smoothly," promises Variety, in the first of likely many pun-stocked endorsements. The film has also given Yoshida plenty to post about on the company's Facebook page, which is surprisingly robust for a more-than-century-old underdog. Welcome to the future!